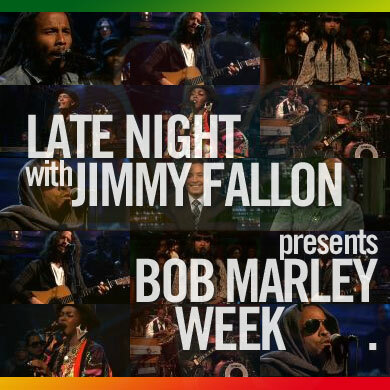 In case anyone is interested, I ripped the audio from Jimmy Fallon’s recent Bob Marley Week and posted the MP3s on my server (along with this quick coverart I designed). Audio quality isn’t the greatest—and I didn’t spend much time editing the tracks—but it’s enough to get the idea and thoroughly enjoy. Even crap can be artistic.